Home > Michael Bublé back and better than ever: bringing a modern twist to vintage crooning > Michael Bublé @ Staples Center 4/2/19. Setlist. 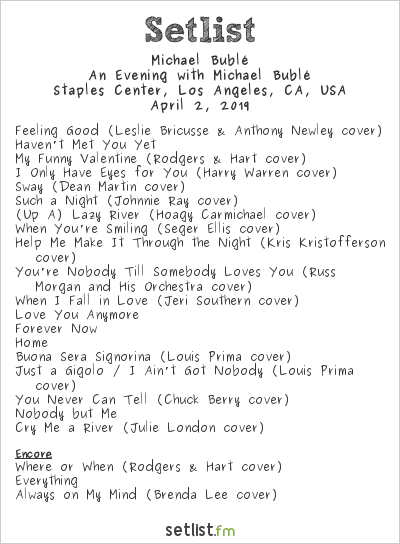 Michael Bublé @ Staples Center 4/2/19. Setlist.